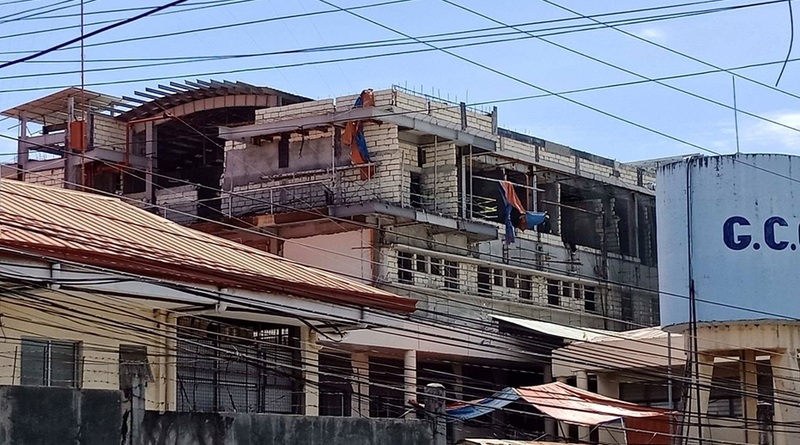 The first of two phases of the Governor Celestino Gallares Memorial Hospital’s (GCGMH) P555-million, five-story expansion in Tagbilaran City is now 90 percent complete, said a hospital official. According to GCGMH chief Dr. Kismet Macuno, the expansion’s Phase 1, which is half of the entire new building, is set to be completed in the last week of August. Macuno is optimistic that the GCGMH’s new building will change the public’s view on public hospitals for the better. “Ako g’yung paningkamutan nga i-change gyud na siya, nga mahitabo nga inig ka-admit sa mga katawhan, dili na g’yud ta maka-ingon nga private ba ni o public, dili na sila kahibaw og unsay deperensya sa private hospital ug public hospital,” said Macuno. The new facility will have a basement parking, a radiology department in the ground floor, operating rooms in the second, a laboratory in the third, pediatric ward in the fourth and administrative offices in the fifth. The original target completion for Phase 1 was originally set on June 30, but Macuno explained that there were delays in the delivery of equipment to the office. She explained that the delivery of the new hospital building’s imported elevator was delayed due to port congestion in Metro Manila. Macuno said that construction of the hospital building’s Phase 2 will start in September. A new entrance for the hospital will be opened along B. Inting Street once Phase 2 will be completed. Entry to the facility’s basement parking will also be constructed under Phase 2. The GCGMH’s massive expansion is being funded through the Department of Health’s hospital enhancement program.